Click on the name to learn more about the winners. 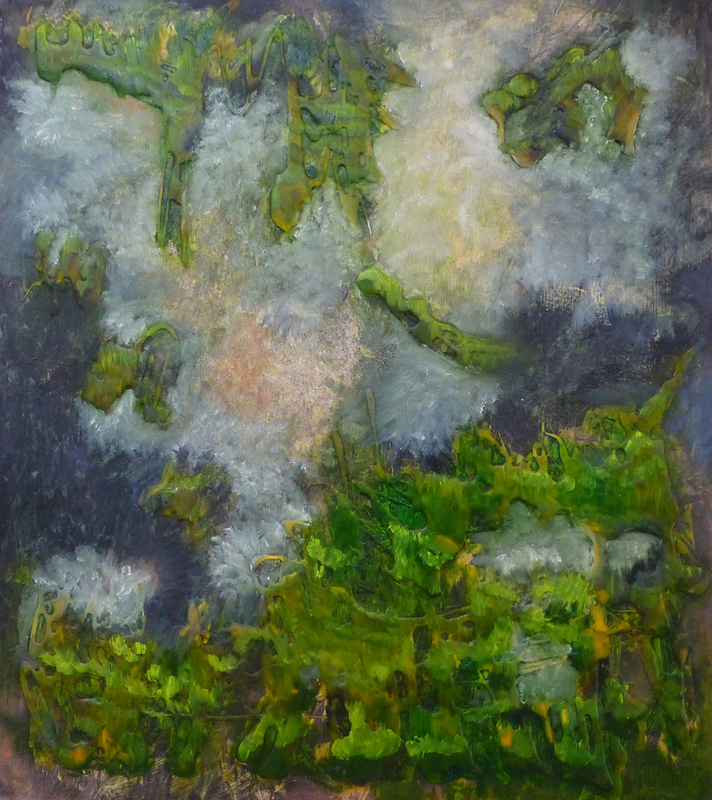 “Knot in My Wildest Dreams” (center image), one of the first abstract paintings done in my “Into the Woods” series, pretty much summed it up as I recalled Mrs. Zucker, my high school advisor, droning on about how I would never make a living as an artist. “They’re a dime a dozen. You will NOT be able to support yourself,” she said. “Take up typing and shorthand, get married and have some kids.” It left a knot in my soul. Now, 50-something years later, “Knot Accepted” made a dream come true thanks to Patricia Rosoff, a talented, enlightened and generous teacher whose life was cut short but whose spirit lived on to put hope back into the lives of others. I am so honored to receive this prestigious award, especially in the company of so many talented artists. Thanks, too, to all the other teachers who dedicate their lives to instilling hope and courage, instead of disbelief and fear, in those who have something to say and display to the world in their own, very special visual way. Don’t ever knot believe in your dreams. “Into the Woods” Series: Life forms in the earth’s smallest ecosystems are families unto themselves. The symbiotic relationships that live on stone, moss, lichen and birch tree knots, for example, thrive despite their differences. Their creation, beauty, and coexistence speak to the laws of nature and offer humanity a study in harmony in a much-troubled world. My inspiration comes from the photography I love to do in my garden and woods. The medium I use, wood, glue and oil paint, is inspired by Takesada Matsutani, a contemporary, mixed-media artist, whose artistic style infused my imagination with visual insight and the material formations which brought my work to life. And now, you might say, I’m really into the woods. 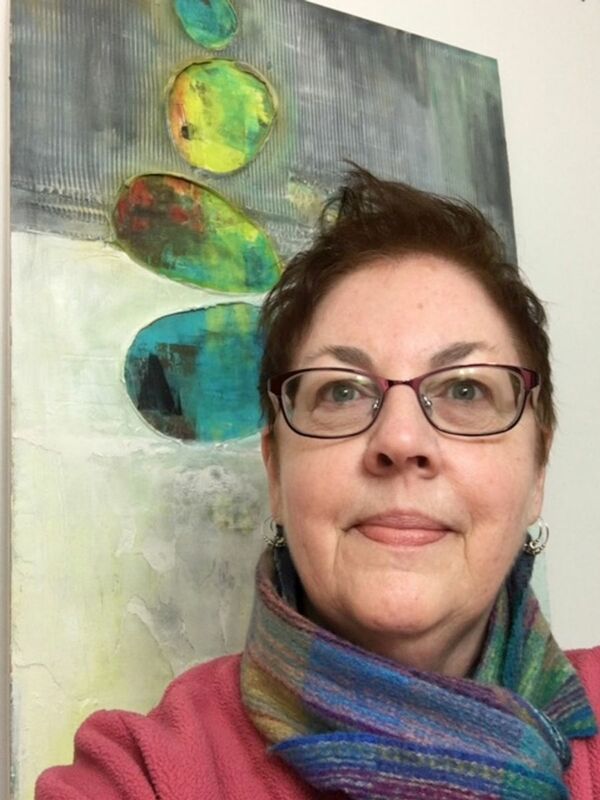 Artist Bio: Sharon Dougherty received her Associates Degree in Graphics Communications from Gateway Community College, North Haven; and a Certificate in Interior Design from Sacred Heart University, Bridgeport, CT; She continued studying art and painting at Northwest Connecticut Community College in Winsted, CT. Over the past 16 years her career has included assistant director, Chapel Street Art Gallery, New Haven, CT, publicity specialist, Centerbrook Architects & Planners, Centerbrook, CT, executive assistant and graphic designer,Northwest Connecticut Arts Council, Torrington, CT and most recently, Social Media Director, Five Points Gallery,Torrington, CT. 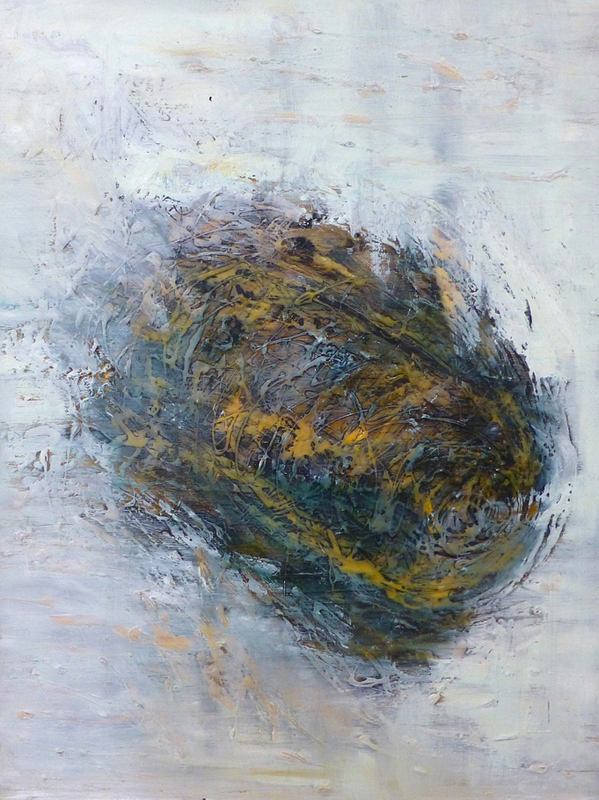 Her art represents micro life-forms in the earth’s ecosystems, memories of a childhood in Queens, NY, during the sixties; the adversity she experienced as a single, independent woman and revelations along the way. 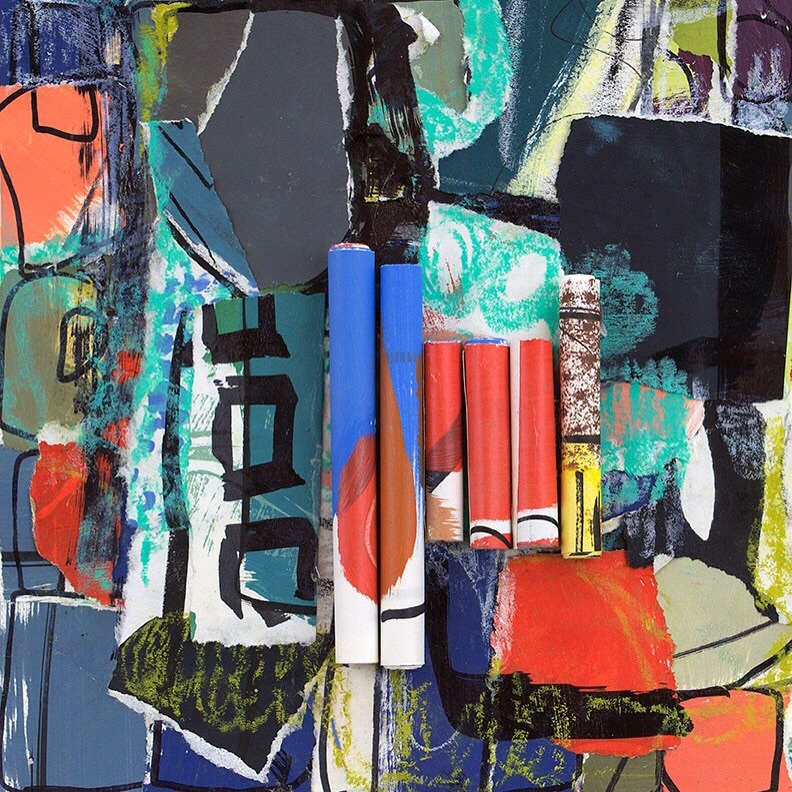 She uses oil, glue and acrylic paint, mixed media, unusual surfaces, and found objects in her work. Her experimentation in the visual arts is boundless…and only a dream away. Sharon resides with her husband Mike and their three, four-legged family members, Indigo, Tonto and Zuzu. She hopes to share her life, her loves and her journey through heartfelt interpretations in her art. 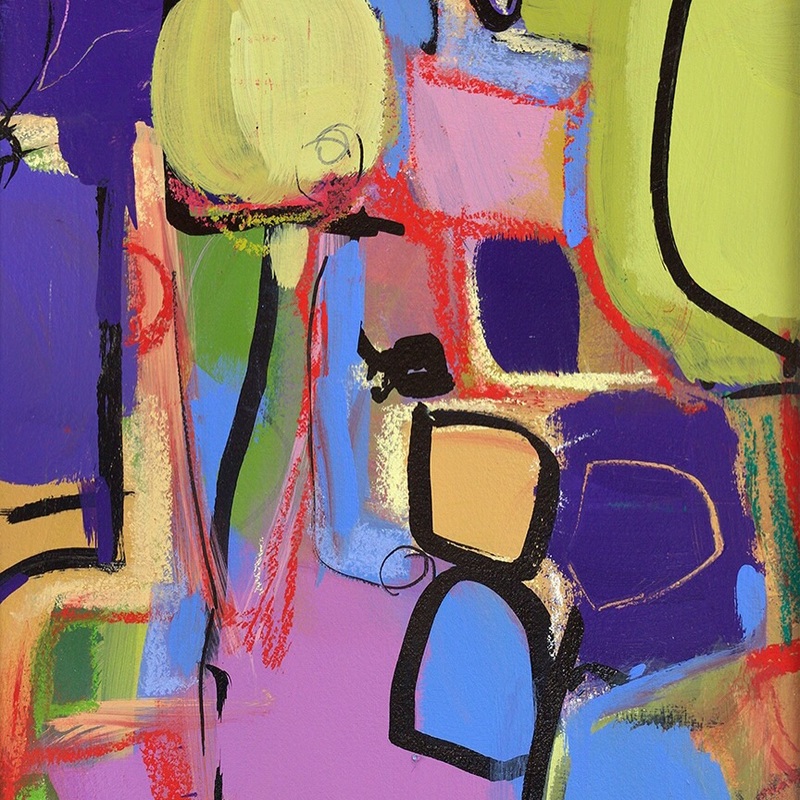 C. Dianne Zweig is a Contemporary Mixed Media abstract artist whose artwork is influenced by the organic shapes and abstract designs of 1950s textiles. 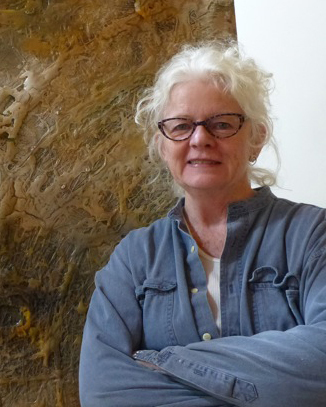 She is a member of Connecticut Women Artists and a founding member of Mixus, a group of women artists who work in Mixed media. Dianne is also enjoys teaching art classes and workshops to all ages. Also a retired psychotherapist, Dianne is interested in the psychology of the creative process and creative aging. Dianne "The Kitschy Collector" has a passion for collecting. Dianne is Editor-In-Chief of IAntiqueOnline.com and also owns "Kitsch n Stuff" at the Collinsville Antiques Co. of New Hartford, CT. Her shop specializes in Retro, Mid-Century and kitchen collectibles. 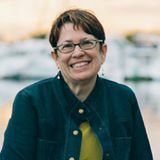 She blogs about antiques and collectibles and is the author of “Hot Kitchen and Home Collectibles of the 30s, 40s, 50s” and “Hot Cottage Collectibles For Vintage Style Homes”. 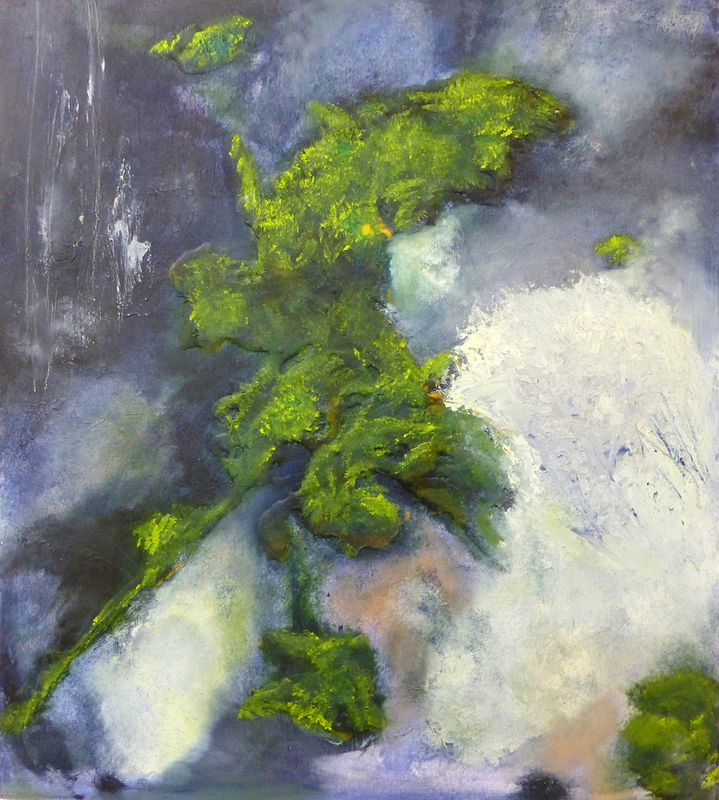 Authentic, raw, energetic and spiritual are words that viewers have used to describe my work. Although I start my work consciously, with composition, color, and visual elements in mind, as the art evolves, I shift into working intuitively, and am often surprised and excited with the outcome. The element of the unexpected in my art is what viewers have been attracted to, and is definitely an inspiration for me in creating art. Acrylic paints, gels and mediums, photographs, markers, colored pencils, and collage are used to interpret my artistic vision. Some of my recent work combines photographs with acrylic molding pastes and paints to create abstract landscapes. In 2015, I began a new series that explores unearthing the first layers of paint that are hidden underneath a layer of acrylic molding paste. 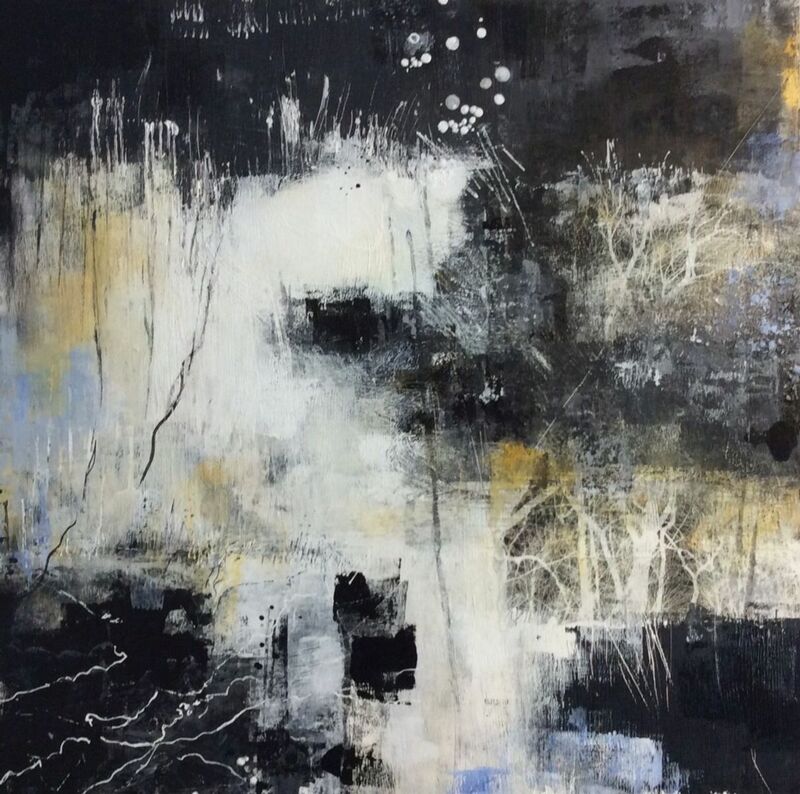 The colorful foundations created with an expressive application of fluid acrylic paints is in contrast to the stark surface layers of molding paste painted in shades of black and white. 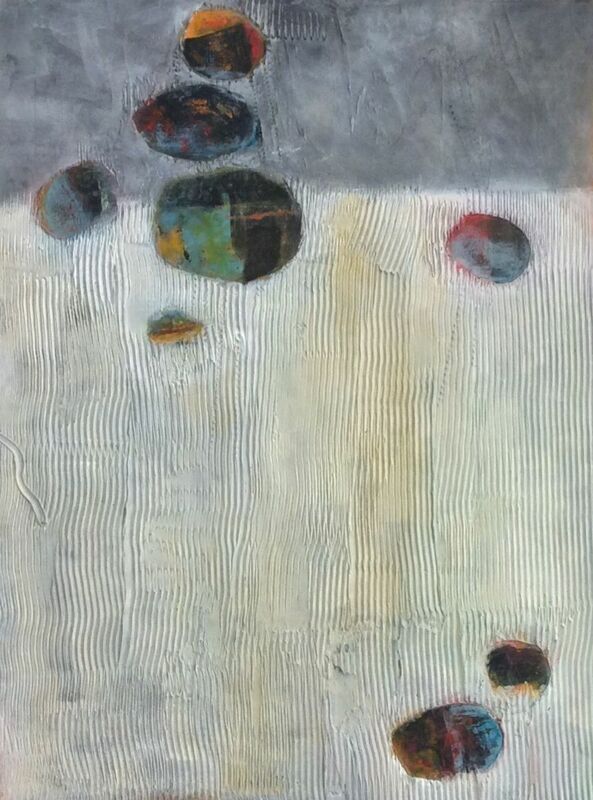 Whether I use photographic images, a variety of papers, or acrylic paints, gels, and mediums, my work unfolds in a process that always involves layers. I believe that through the creative processes of making art, we can find an outlet for expression that is healing and energizing. My goal is not to necessarily give the viewer a pretty picture, but to create art in which the viewer will want to take time to travel through the work, feel intrigued, and find satisfaction in the journey. Bio: Born in Reading, Pennsylvania, Kelly currently lives in Glastonbury with her husband Norm, and Little Dog, Macy. Her artistic journey started at a very early age when she began experimenting with markers, scissors, paints, paper, glue, and whatever else she could get her hands on. 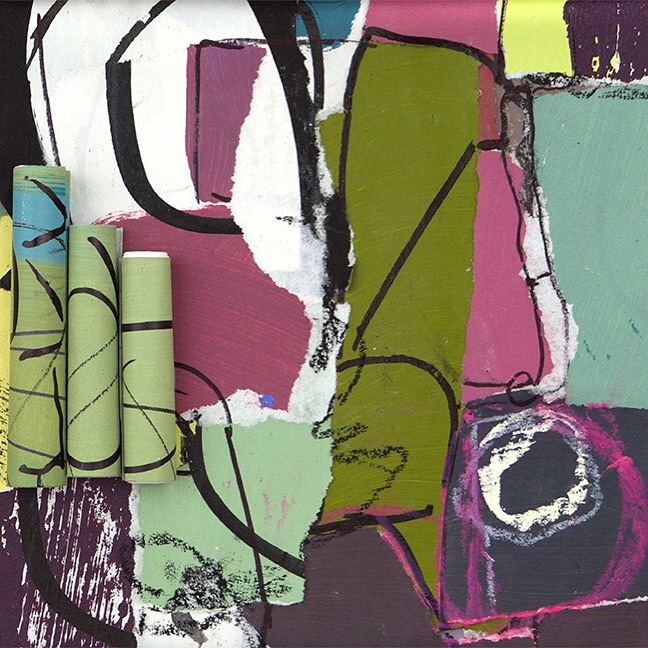 A love of color, texture, and the visual richness of life have all contributed to Kelly’s drive to make art using a variety of techniques to create her abstract mixed media artwork. Kelly has taught art-making workshops, facilitated Spirituality and Art workshops for Pastoral Care Residents and co-facilitated a mask-making workshop for victims of domestic violence. She exhibits her work with Syntax, a group of mixed media artists and her work resides in private collections throughout the US, as well as public spaces including Hartford Hospital, The Copper Beech Institute and the Green Lotus Salon in Cromwell, CT.
Kelly has had a longstanding interest in promoting the well-being of animals, and promotes the idea of adoption over shopping for pets through her line of “Little Dog Art” cards. Her other interests include keeping a secret garden, taking photographs on her daily walks with Macy, watching movies with husband Norm, and taking drives with Norm and Macy to find the best places to stop for ice cream. 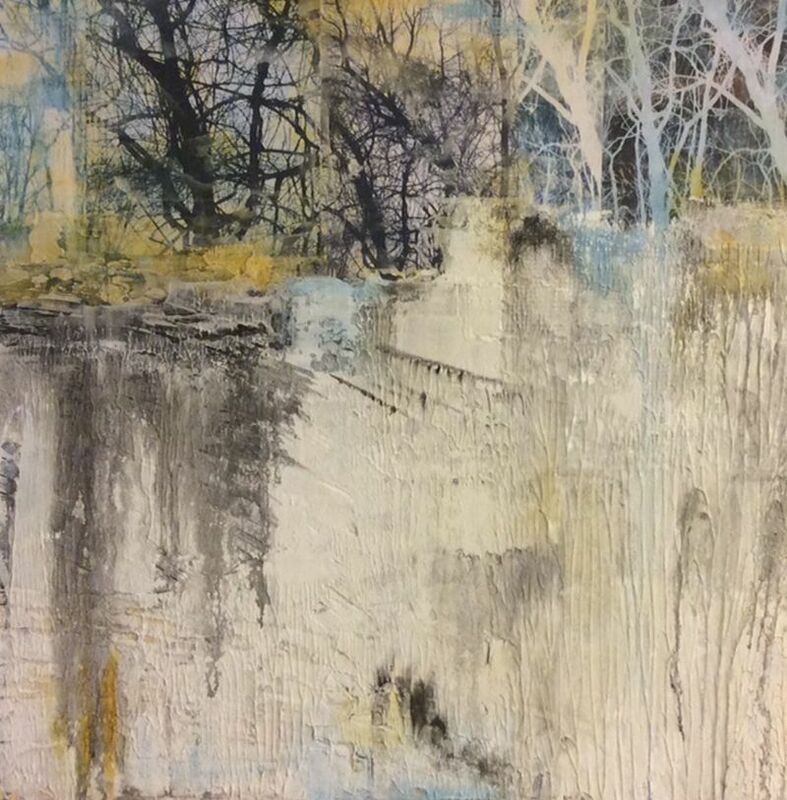 By Kelly Taylor: Why abstract art? From a fairly early age, I was painting colorful “landscapes”. Although I may have been influenced by my surroundings, I would say most of the images came from my vivid imagination. It wasn’t until recently that I tried to understand the draw toward creating abstraction. There has always been this curiosity in my practice of art to try to push myself to create interesting results. Composition, color, line and shape have always been important factors, and I begin work with a fair amount of organization. But, I’m most challenged by questioning how to go beyond those elements and delve into what else is possible. Reality may be the initial inspiration, but I’m looking to go beyond that and still convey the spirit of what I have started out with, the object or landscape or whatever it might be. Materials are also an important factor for me, and I often feel like a scientist looking for a new discovery. Exploration and keeping an open mind about these possibilities is definitely a part of my creative process. Ultimately, I hope to push myself forward and beyond the usual, in both a personal and artistic way. To present the viewer with a piece that does not depict a known reality and that does not answer all the questions is delightful. I don’t feel compelled to present a pretty picture. I want to give the viewer a chance to respond in their own personal way and to be engaged to seek out their own answers to what the art is about.